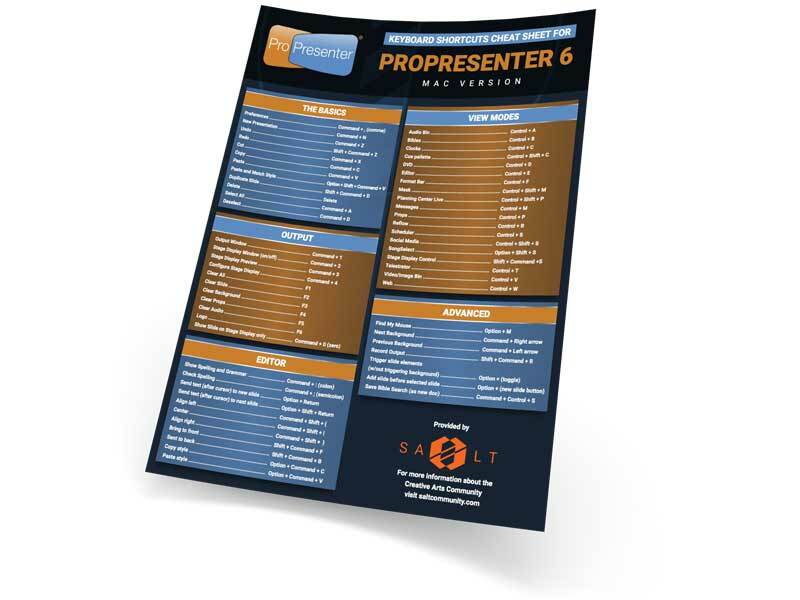 The most skilled users of ProPresenter leverage the power of keyboard shortcuts to make operating, editing and modifying easy, quick and worry free in a live environment. But there are a lot to remember. So with this new free resource from SALT, you’ll be able to print a beautiful 1-page poster and place it in your tech booth for all your operators. On this Pro6 Keyboard Shortcuts Cheatsheet, you’ll find a bunch of the most commonly used keyboard shortcuts all on one convenient document. Download. Print. Post. It’s that easy!